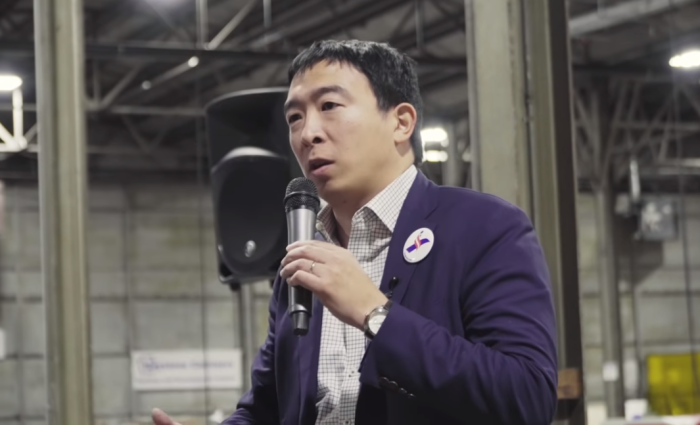 America is careening toward a dystopian future without jobs due to increased automation and technological advances, says 2020 Democrat presidential candidate Andrew Yang. To prevent the inevitable “widespread squalor, despair, and violence” that will result from millions of workers being permanently displaced by technology, Yang, 44, wants to start giving every adult citizen $1,000 a month in universal basic income. “America is starting 100,000 fewer businesses per year than it was only 12 years ago, and is in the midst of shedding millions of jobs due primarily to technological advances,” Yang explains in his 2018 book The War on Normal People.